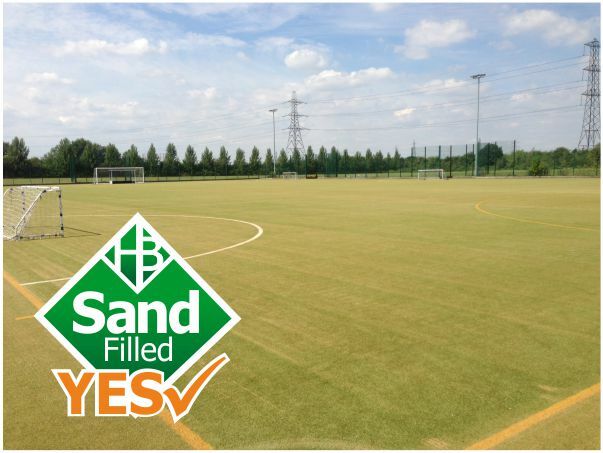 Sand Filled artificial sports pitches are designed to meet the rigorous demands of continuous use. They are hard wearing synthetic carpets with a vertical pile and so long as they are maintained properly they meet their requirements easily. The grass fibres are kept upright by the sand infill. 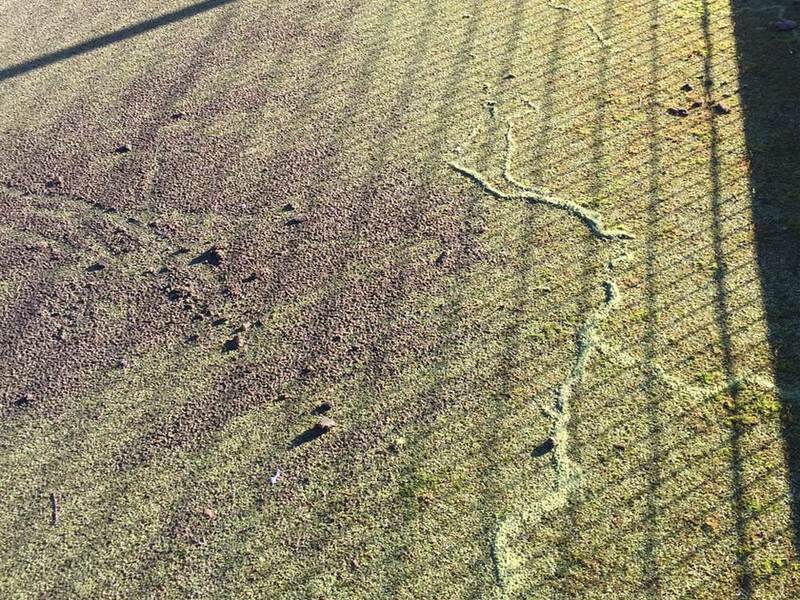 Sand Filled Artificial Pitches have medium pile heights usually ranging from 9mm to 24mm. The polyethylene yarn offers good water characteristics with excellent water permeability which enables better play. 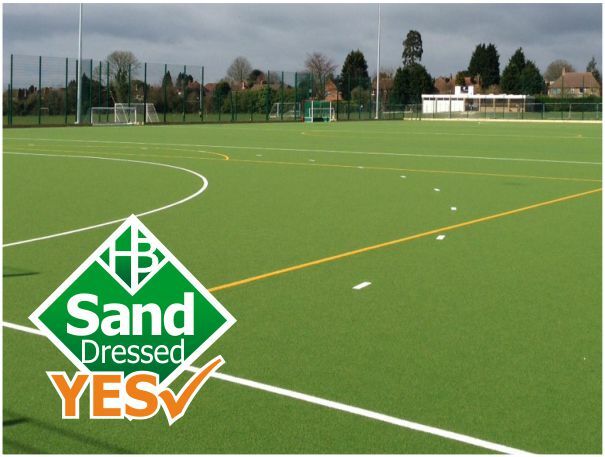 Sand-filled artificial sports pitches are popular among sports clubs, local authorities, universities and schools as they often require an artificial surface that can accommodate a variety of sports such as hockey, tennis, football, netball etc. 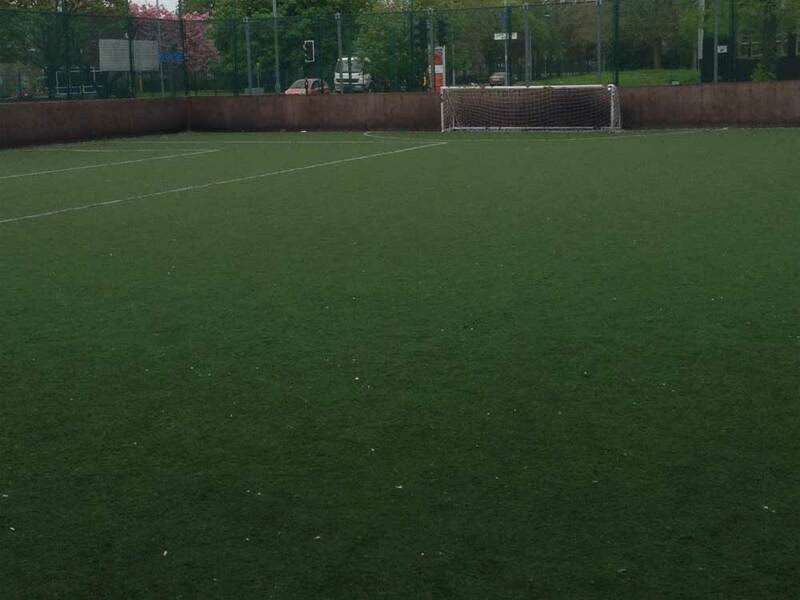 If space is restrictive Sand Filled Artificial Sports Turf (also known as Astro Turf) is of great use as it enables a variety of sports to be accommodated on a single facility. 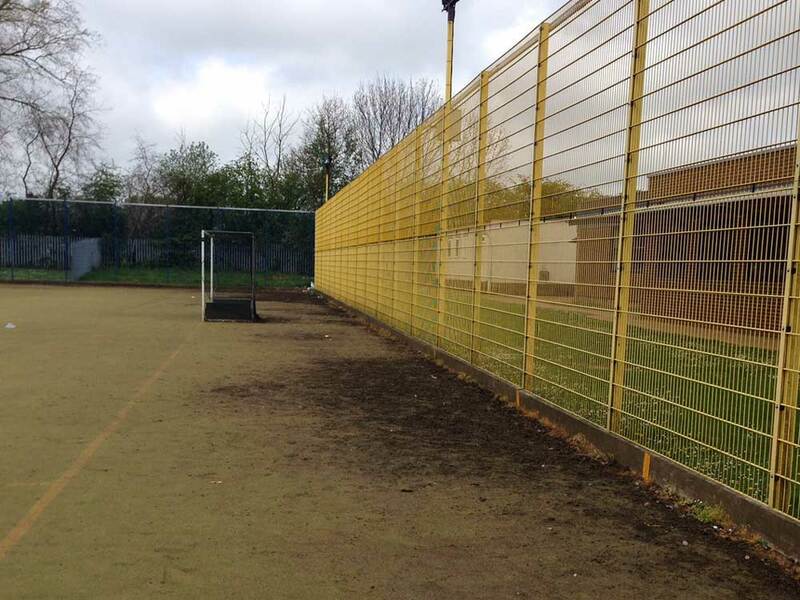 Sports such as Hockey, Tennis and Basketball can be easily accommodated by installing a MUGA (Multi Use Games Area) and these synthetic sports pitches make good practice grounds for sports such as football and netball. 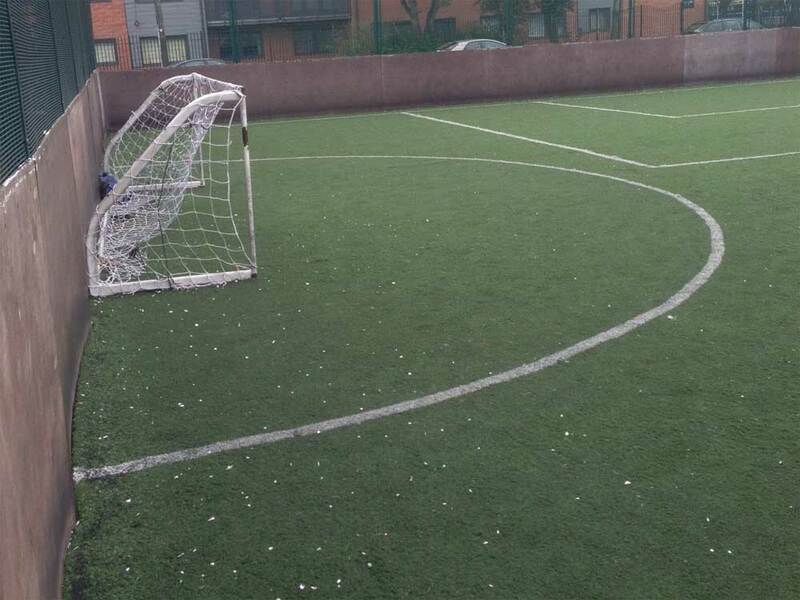 One of the benefits of a Multi-Use Games Area is the fact that sports can be played in all weathers, rain and mud will not hinder play on such artificial sports carpets. 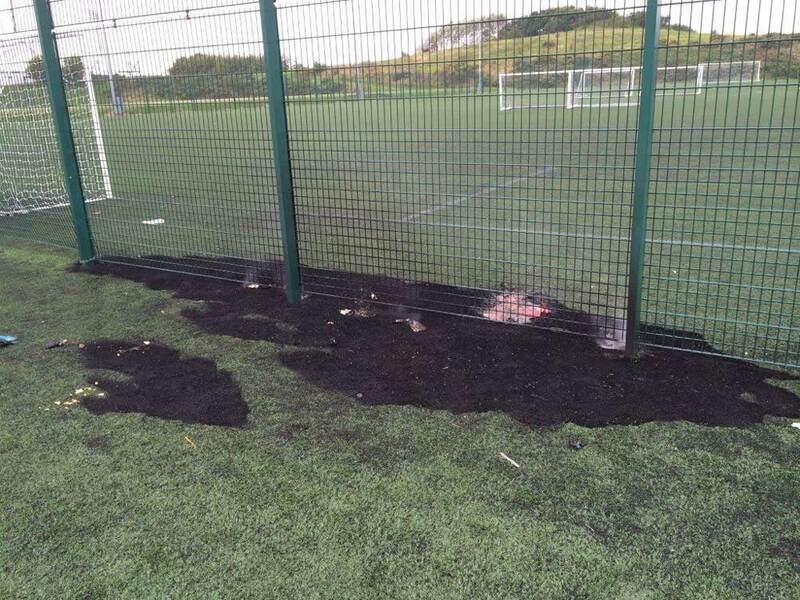 Artificial Grass Sports Pitches can have longevity if maintained correctly regularly. Knit-de-Knit fibres ensure non-directional ball travel ideal for sports such as hockey, tennis and football. 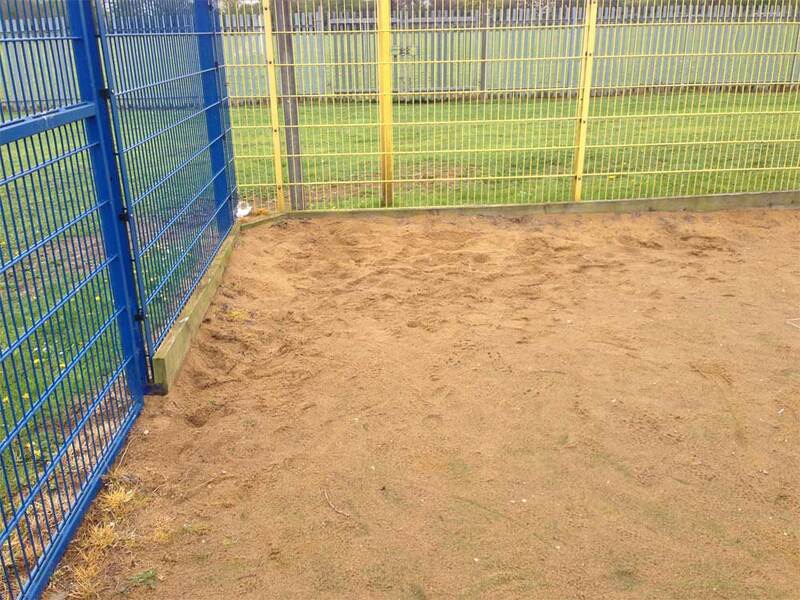 Sand filled artificial sports pitches do require regular brushing. It depends upon the usage the surface receives as to how regular it would require maintenance. 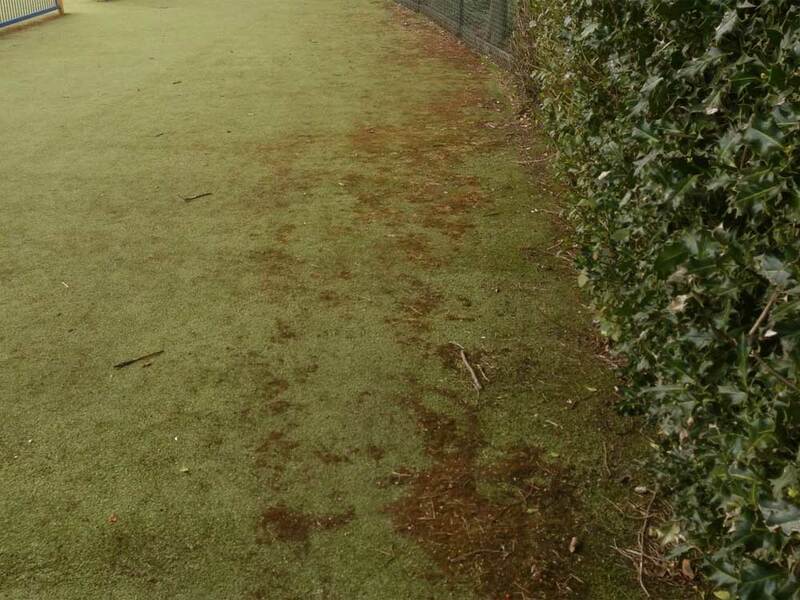 Very heavy usage of an artificial sand filled artificial pitch would likely mean it would require maintenance brushing weekly. The artificial surface will require chemical treatment and deep cleaning throughout its life in order to ensure excellent as well as safe play characteristics. 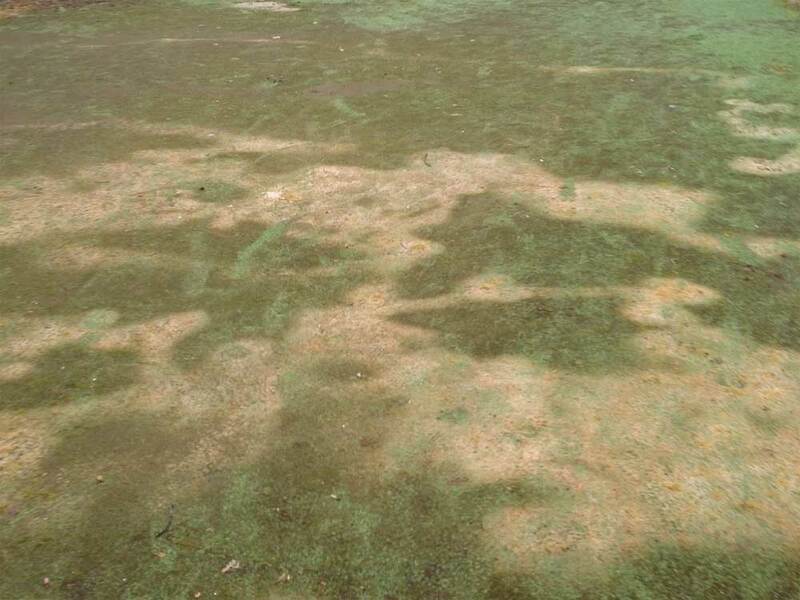 Some artificial sports pitches can become neglected through incorrect maintenance, this can lead to widespread contamination of the artificial surface. 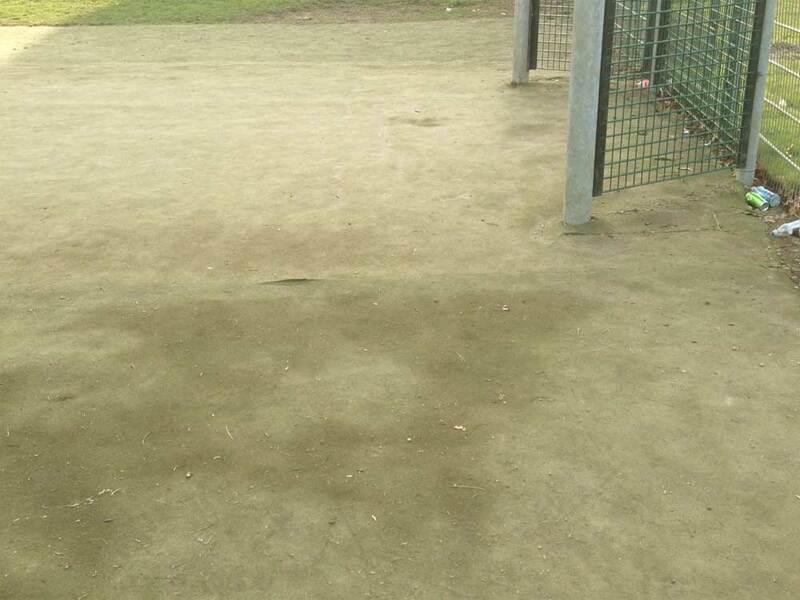 In order to return the surface to an excellent sports facility it may be necessary to completely remove the contaminated sand and replace it. 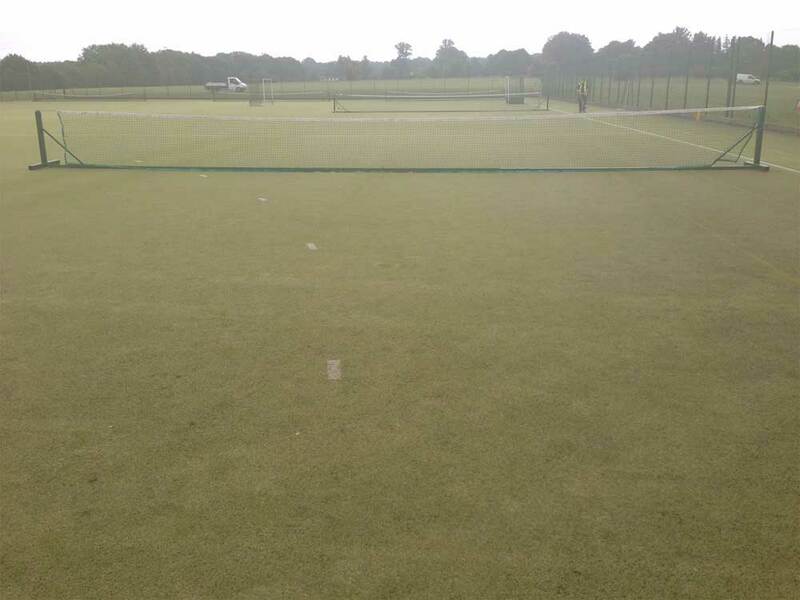 Sand-filled artificial sports pitches are popular among sports clubs, local authorities, universities and schools as they often require an artificial surface that can accommodate a variety of sports such as hockey, tennis, football, netball etc. 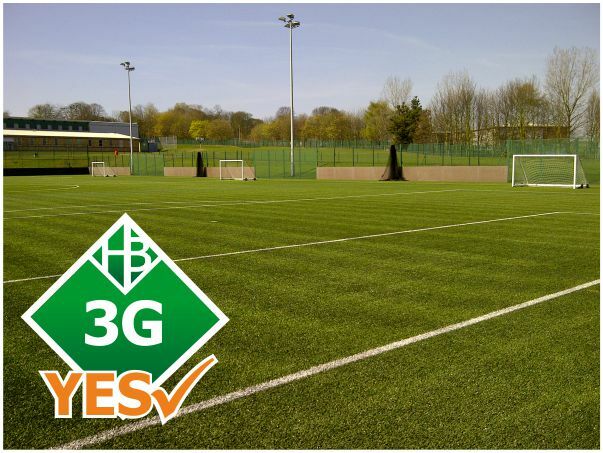 artificial sports pitches offer high durability, consistent performance; they are cost effective to run and ideal as a hiring out facility. ► Why you need Surface Maintenance?